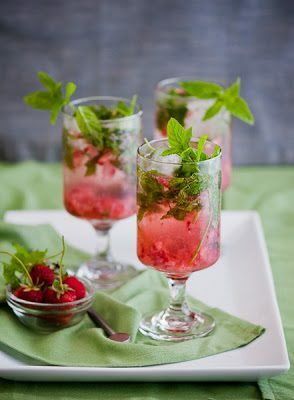 In a chilled glass (about 10-12 ounces), muddle the simple syrup, strawberries and mint leaves together with the back of a spoon or muddler. 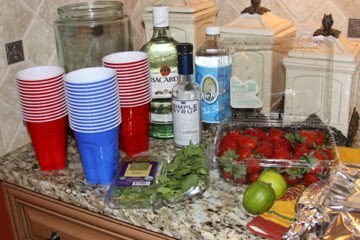 Crush the strawberries and mint leaves well. Squeeze the juice from the lime into the glass, add the rum and stir well. Fill glass with ice and top off with soda water. 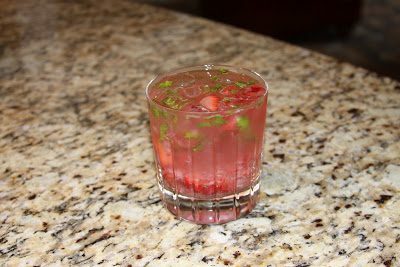 Garnish with mint sprigs or strawberry slices. Makes 1 drink.